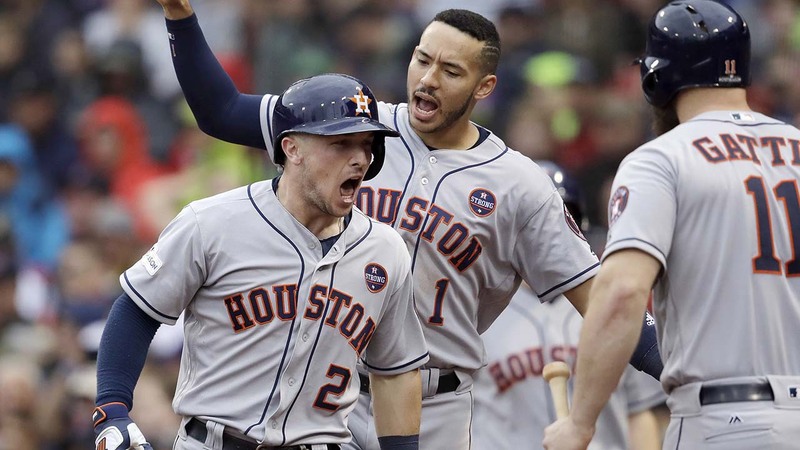 BOSTON, Massachusetts (KTRK) -- Justin Verlander outpitched Chris Sale in a relief role reversal of aces, and the Houston Astros advanced to their first AL Championship Series, rallying past the Boston Red Sox 5-4 Monday in Game 4 of their playoff matchup. With Verlander and Sale - the Game 1 starters - both pressed into relief, the Astros prevailed to win the ALDS 3-1. Astros manager A.J. Hinch speaks to the media after Game 4.